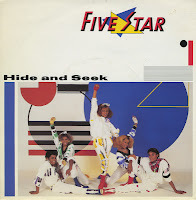 'Hide and Seek' was Five Star's second single and would later be included on their 1985 debut album 'Luxury of life'. The single was written by Gary Bell (who co-wrote their later hit 'System addict'), and Anne Dudley, one of the UK's top female songwriters and composers. The single wasn't a hit, only charting at number 113. The song was later covered by New Edition in 1984 as part of their self-titled album. The video to the single featured a colourful setting with an early Five Star logo as a backdrop, with the floor resembling the American stars and stripes flag, and a very simple dance routine. 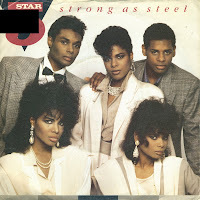 The ballad 'Strong as steel' was the second single from Five Star's 1987 album 'Between the lines', their third album. It reached number 16 in the UK singles chart. 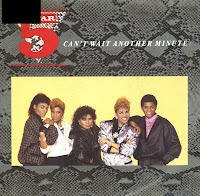 This 12" single featured the full album version of 'Strong as steel' (as opposed to the 7" single, which featured an edit) and a remix of the 1986 hit single 'Can't wait another minute'. 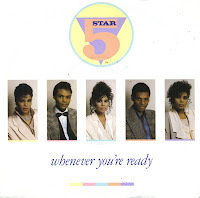 Apparently there was another 12" single featuring a megamix of Five Star hits instead. 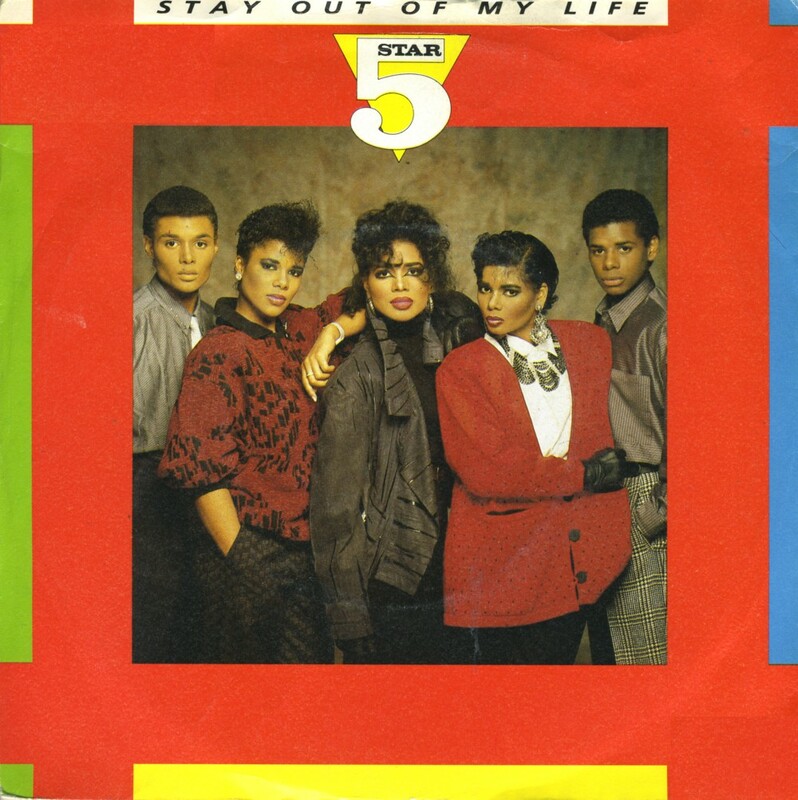 The single 'Stay out of my life' was successful in the UK only at a time when Five Star were at the peak of their popularity in their home country. It reached number 9 in the UK singles chart. 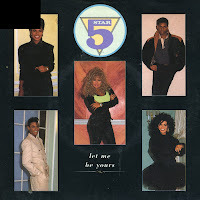 This 12" single features a remix of 'Stay out of my life' as well as a remix of previous hit single 'If I say yes'. Where many Five Star 12" singles just seem to fall flat, this package is quite a lively one. 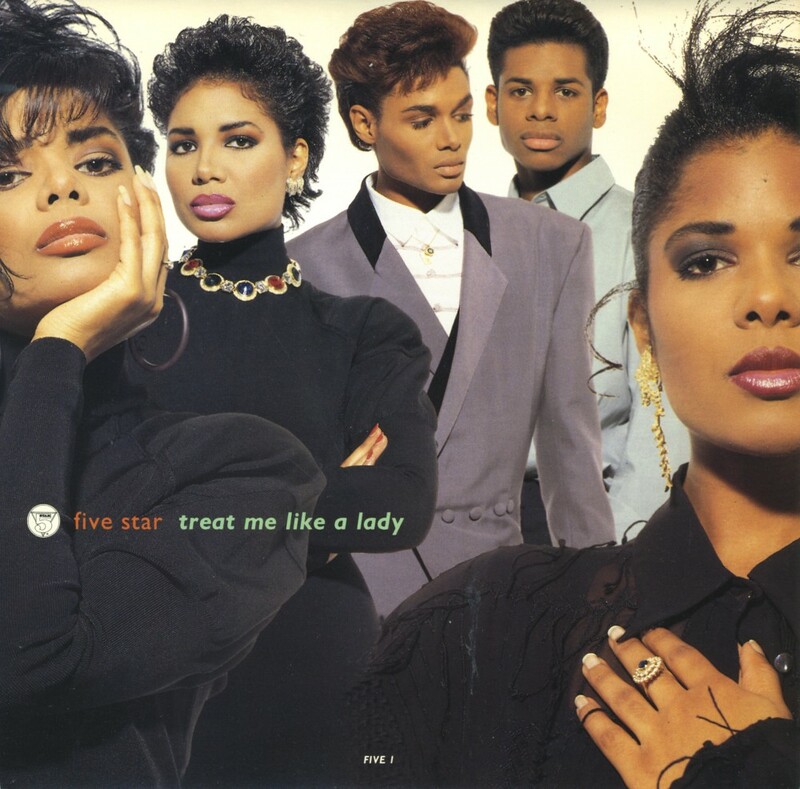 One of Five Star's biggest hits, 'Rain or shine' is best described as a mid-tempo ballad. 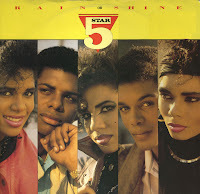 The single was released in the summer of 1986 and reached number 2 in the UK singles chart. 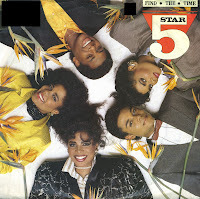 This 12" single is an attractive package as it brings together two remixes of 'Rain or shine' plus an instrumental remix of 'Find the time', one of Five Star's previous hits. The throwaway B-side 'Summer groove' is also there, of course. 'Somewhere somebody' was released while the band was touring. Hence, live photographs were used on the sleeve. The merchandise sellers were in full swing, too: the back of the sleeve advertises a video and a book. 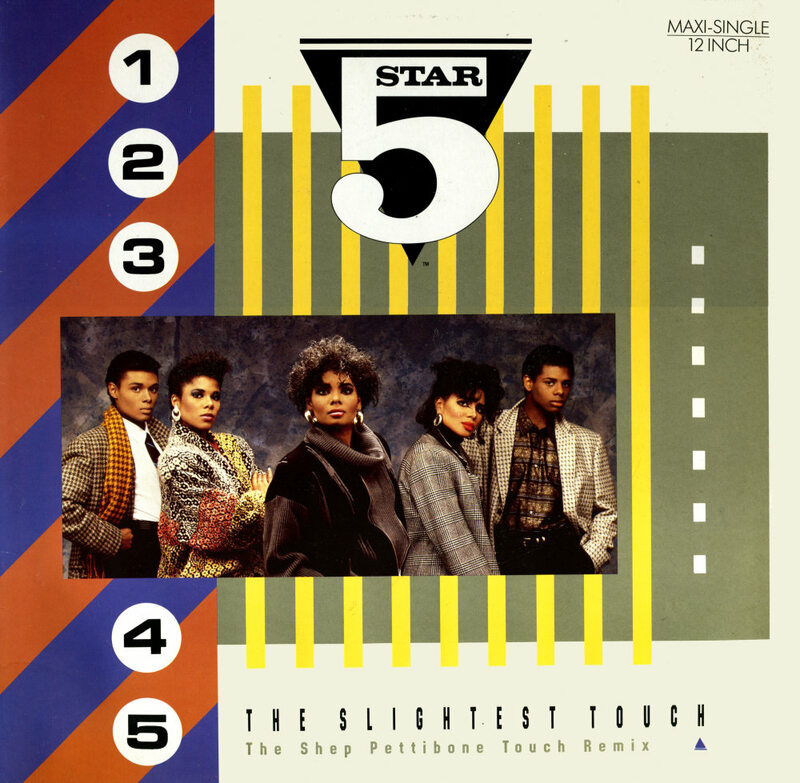 Released in the summer of 1987, the single was the third taken from Five Star's third album, 'Between the lines'. 'Somewhere somebody' was written by Dean Chamberlain and Martin Briley. 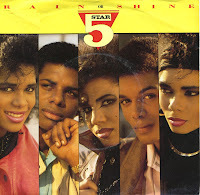 Peaking at number 23 in the UK singles chart, it became the group's lowest charting single since 'Love take over' in 1985. 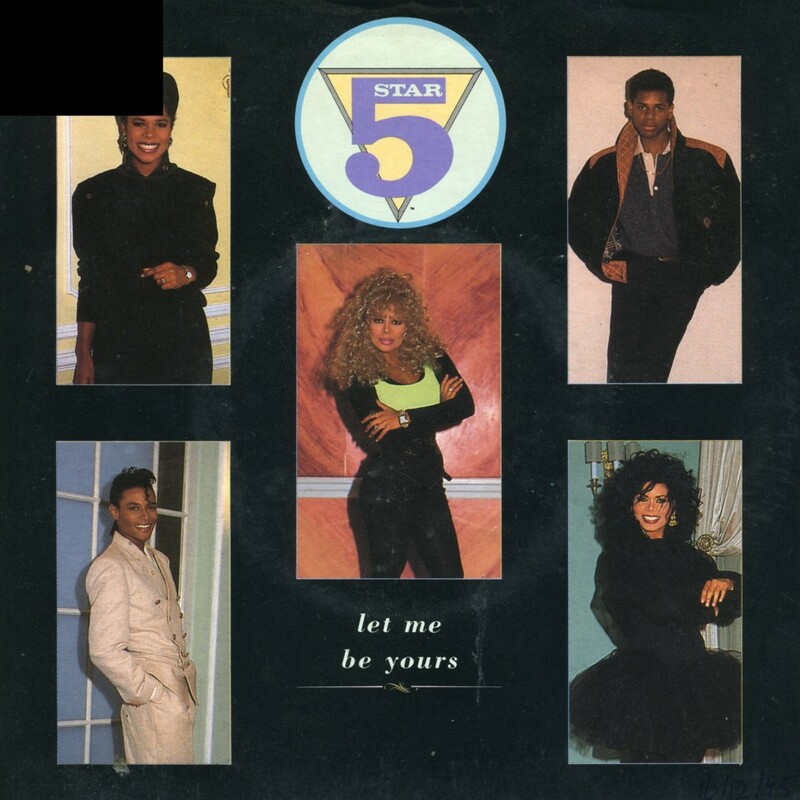 'Let me be yours' was released in November 1988 as the fourth and final single from Five Star's fourth album 'Rock the world'. The album wasn't the band's biggest success, and the single was just as unfortunate: it stalled at number 51 in the UK singles chart. 'Find the time' was written by Nick Trevisick and Paul Gurvitz who had previously written the single 'R.S.V.P.' for Five Star the previous year. 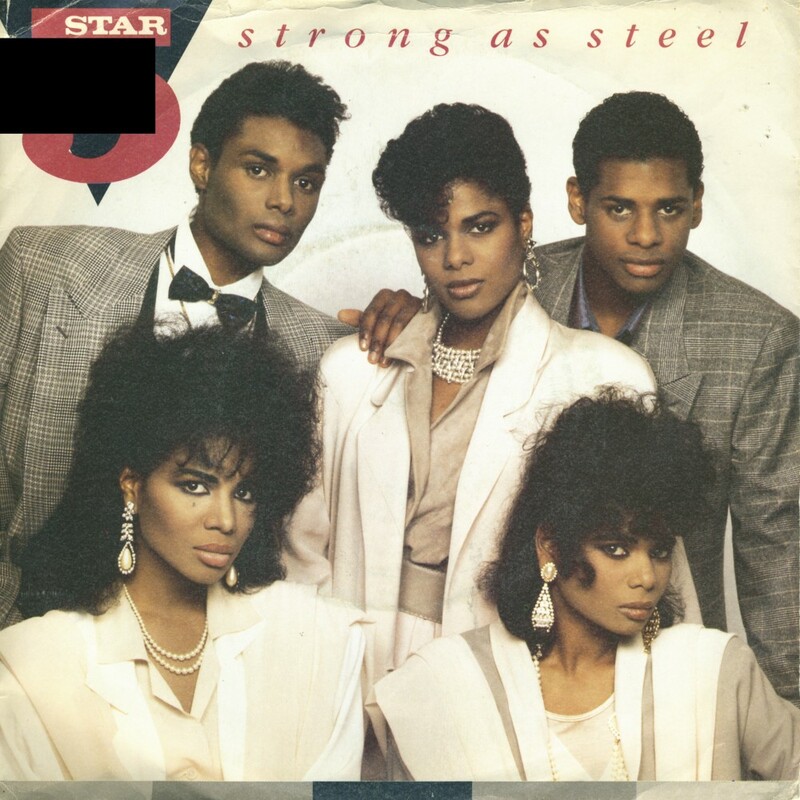 Released in June 1986, it was the second single from their second album 'Silk and steel'. The single reached number 20 in the Dutch Top 40 and number 7 in the UK singles chart. 'Treat me like a lady' was recorded in Five Star's new high-tech studio in the grounds of their family home, Stone Court in Ascot, Berkshire. The studio reportedly cost them £2.5 million. It was their first single for their new record label, Epic. The single was released in a limited edition envelope pack, including five square 7" photographic prints. It reached number 54 in the UK singles chart. 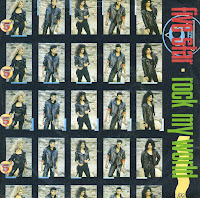 'Rock my world' was the second single from Five Star's 1988 album 'Rock the world'. The music video for this single saw the band leather clad, with long hair extensions, dancing in the bottom of a quarry, with dumper trucks driving around them. The B-side, 'Sweetest innocence', received a BPI award for best instrumental. The single became their last ever UK top 40 hit, peaking at number 28. 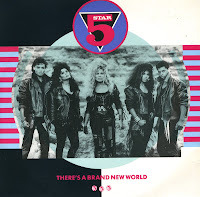 The next single, 'There's a brand new world' would bring Five Star's run of 16 consecutive Top 40 hits to an end when it only reached number 61. 'Stay out of my life' was released as the fifth single from Five Star's second album 'Silk & steel' in February 1987. 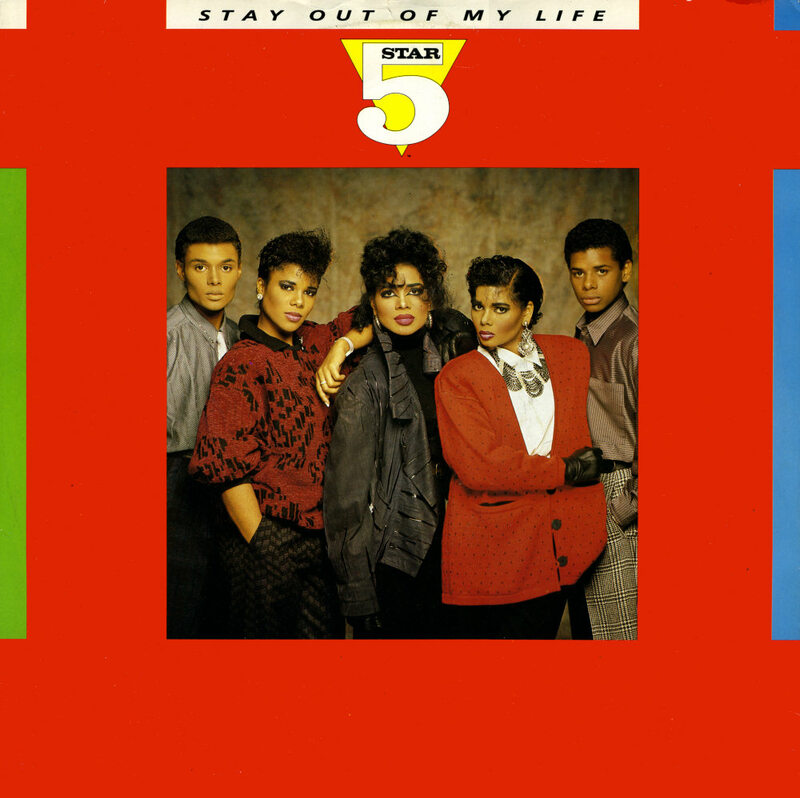 The song was coupled with an alternative version of the track, '(How dare you) Stay out of my life', which was used as the theme tune to the Eighties children's television series entiled 'How dare you', presented by Carrie Grant. The single reached number 9 in the UK singles chart, but failed to chart in other territories. 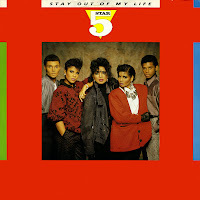 The group performed 'Stay out of my life" at the 1987 BPI awards ceremony, where they had won the award for 'Best British Group'. 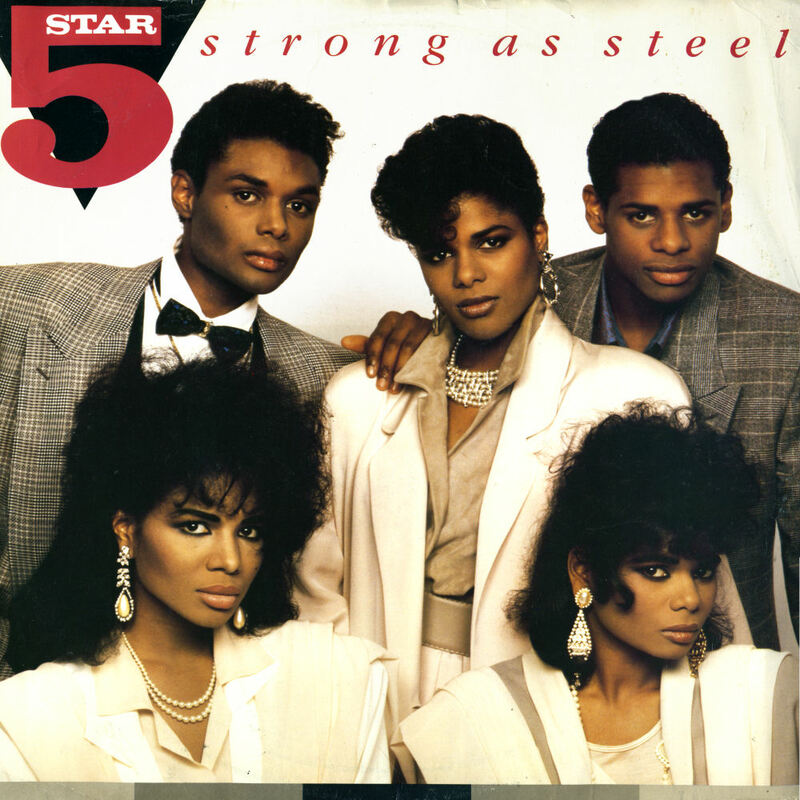 'Strong as steel' was released in 1987 as the second single of Five Star's third album 'Between the lines'. The song was written by acclaimed songwriter Diane Warren, who has also written hit songs for Cher, Tina Arena and Michael Bolton amongst others. The single peaked at number 16 in the UK singles chart. In 1990, the track was covered by Tina Arena. 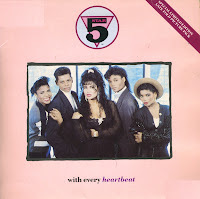 Five Star's single 'With every heartbeat' was released in 1989. It was their last single for RCA, the label they signed with in 1983. It proved a failure for the group, stalling at number 49 in the UK singles chart. The song never appeared on a studio album, but was included on the group's 'Greatest hits' album, released later in 1989. 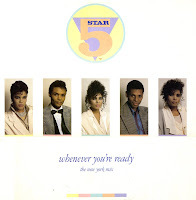 The single was released in a limited edition with a gatefold sleeve including a booklet with pictures of the group members and the lyric of the song. 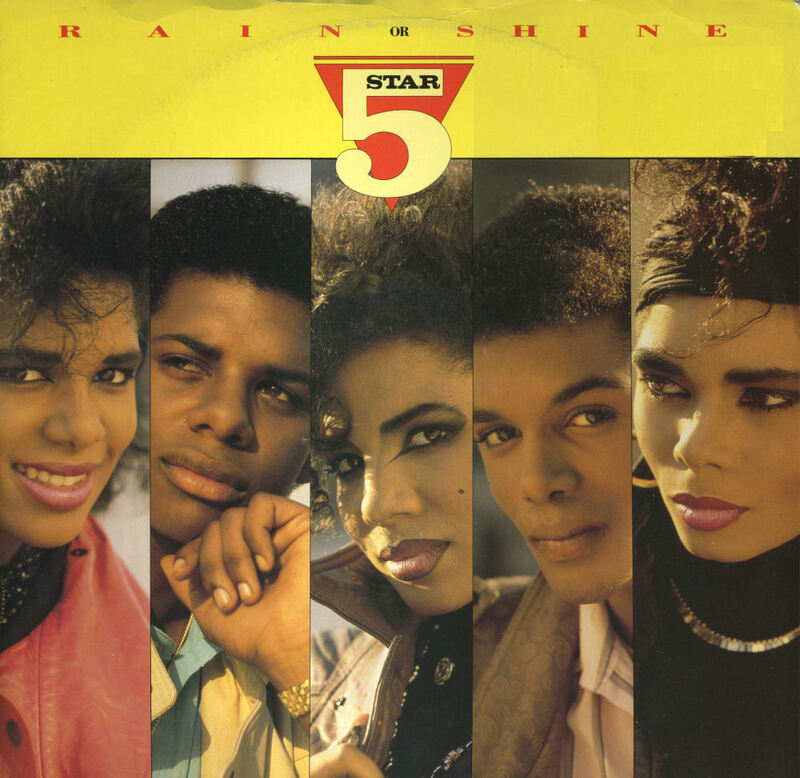 Five Star's biggest single hit was the mid-tempo ballad 'Rain or shine', released in the autumn of 1986. It sold over 250,000 copies and peaked at number 2 in the UK singles chart, held off the top spot for three weeks by British pop band The Communards with the year's biggest selling song, 'Don't leave me this way'. In the Dutch Top 40, the single peaked at number 16 during a six week chart run. 'Can't wait another minute' was originally recorded by Lewis and covered by Five Star on their 1986 album 'Silk and steel'. It was released as the first single from that album. The single reached number 7 in the UK singles chart and number 41 in the US Billboard Hot 100 chart, but did not chart in the Netherlands. Shep Pettibone was commissioned to remix 'Somewhere somebody', the third single from Five Star's third album 'Between the lines'. 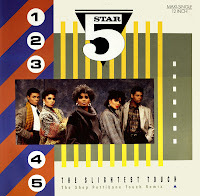 The result was included on this 12" single, released in December 1987: three versions of his remix work, of which the 'short version' is an edit of the 'Pettibone remix'. 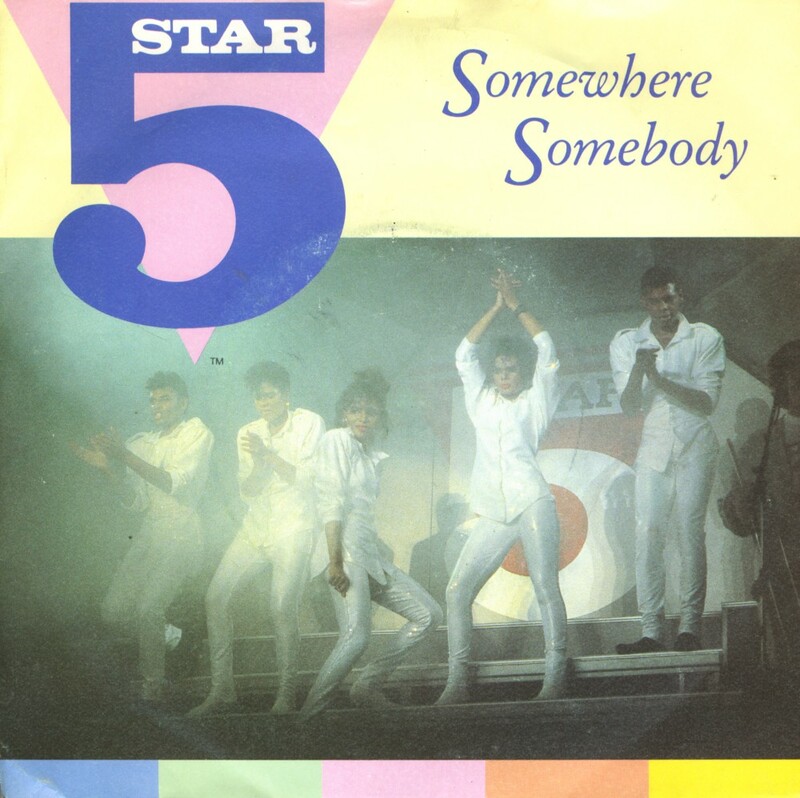 'Somewhere somebody' was released while the band was touring. Hence, live photographs were used on the sleeve. 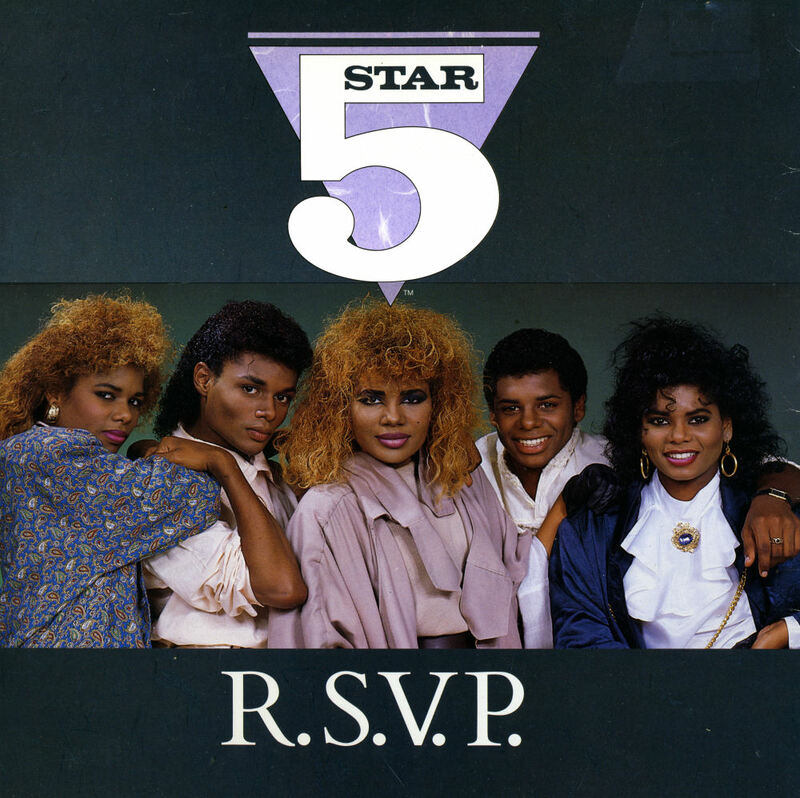 It's interesting how Five Star went from supergroup to virtually unknown during the first five years of their career. While their first few albums were immensely popular, the album 'Rock the world', released in 1988, was ignored by the record-buying audience. 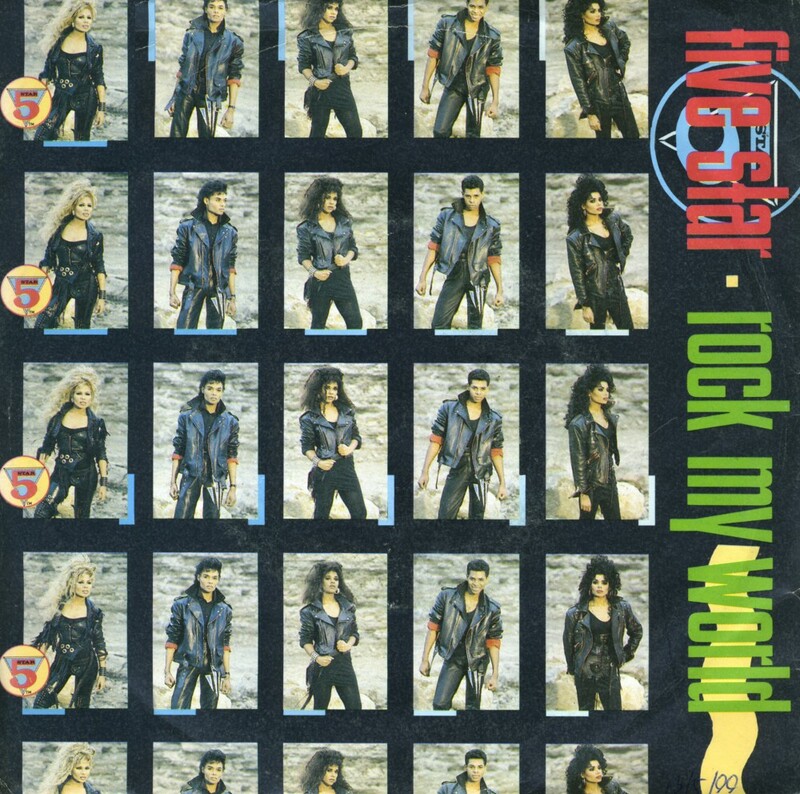 Still, the first two singles from the album, 'Another weekend' and 'Rock my world' reached the top 40 in the UK. It was this third single, 'There's a brand new world', that stalled at number 61, making this the first single since 1985's 'R.S.V.P.' not to reach the UK top 40. 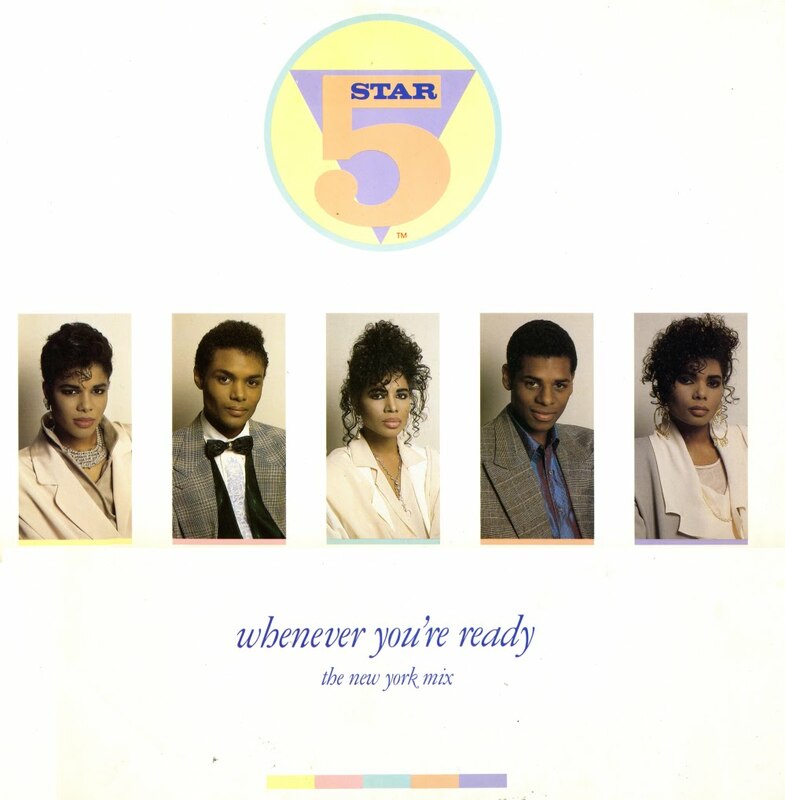 Released in August 1987, 'Whenever you're ready' was the first single from Five Star's third album 'Between the lines'. It is a bouncy popsong full of subtle sounds and a rather straightforward chorus-verse structure. The single reached number 11 in the UK singles chart and number 18 in the Dutch Top 40.